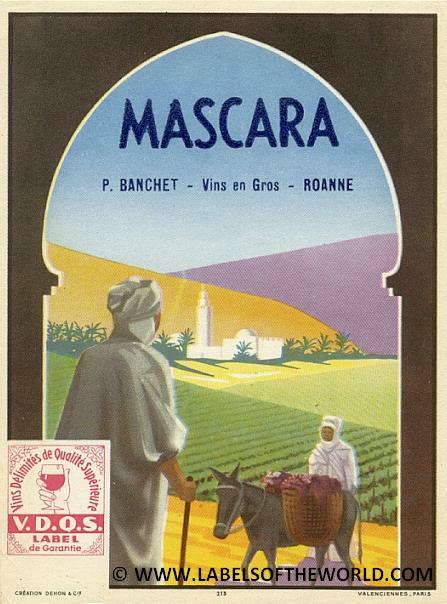 Algerian wine label "MASCARA" from early to middle 20th century. Brand new condition (UNC). View of Château castle winery in Algeria; camel or dromedary carrying vines in baskets; vineyard; Algerian person standing in an arched doorway; palm trees; mountains, hills or desert landscape. Reverse blank. Printed on a thin paper. Vins Delimites de Qualite Superieure V.D.Q.S. 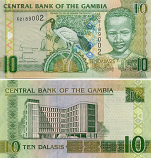 Label de Garantie. Name and location of the wine supplier: P. Banchet - Vins en Gros - Roanne. Label by: Creation Dehon et Compagnie, Valenciennes, Paris.